Daydreams dance around a cluster of cumulus clouds. 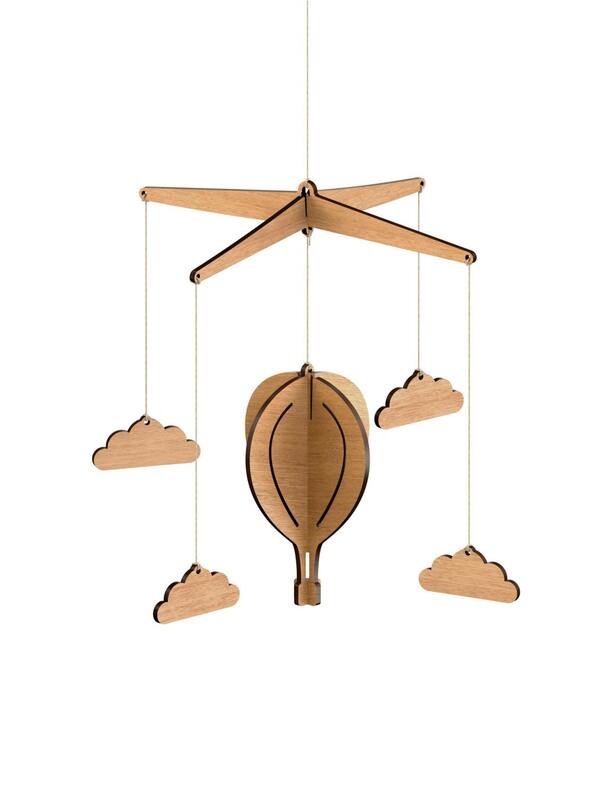 Childhood fascination reaches great heights with the Hot Air Balloon Baby Mobile. 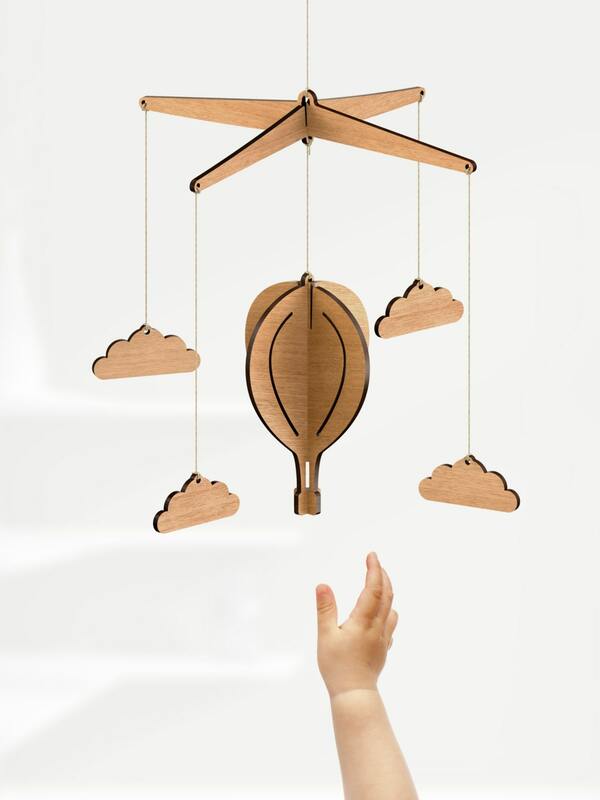 Easy to assemble, this twirling wonder is sure to elevate and stimulate the senses. Lovely item and fast postage! Love the mobile. 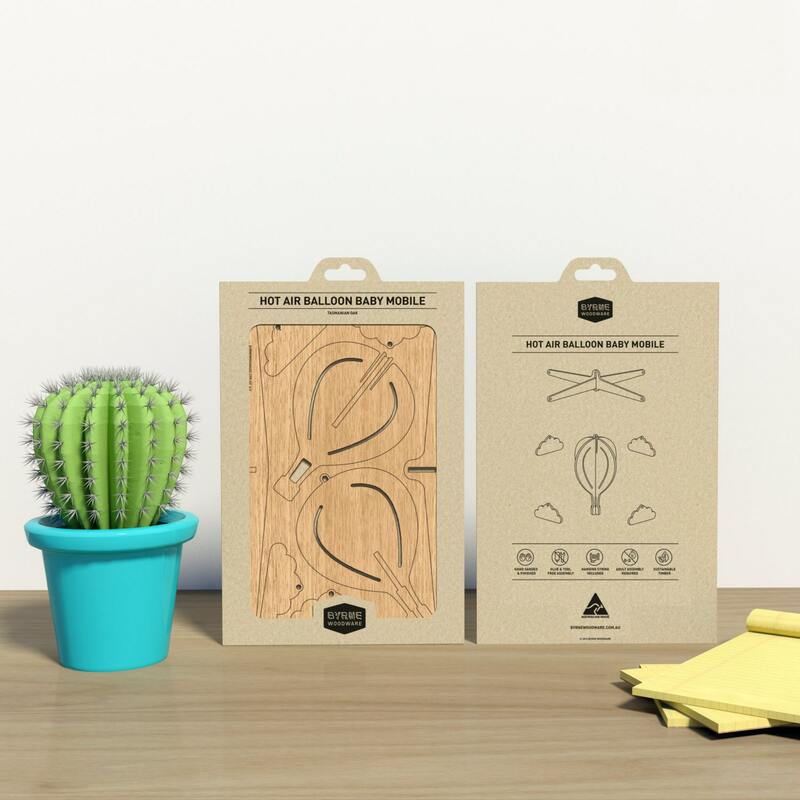 Great craftsmanship, lovely product. Did have some issues with shipping though. The envelope was not addressed - by the time the package arrived, the postman had lost whatever was fixed to it to give my address. Luckily the postman remembered vaguely which number and street, and guessed correctly by delivering it to my home. However he could have just as easily delivered it to one of my neighbours.